For sale: $140 USD for the lot. 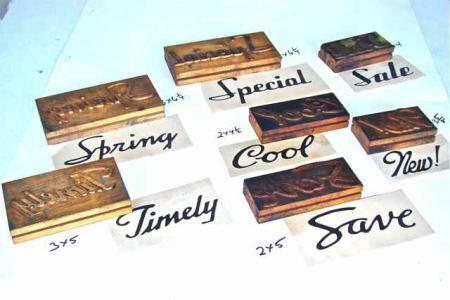 7 all wood blocks used for printing retail display showcards. Based on font style, they might date from the ’50s. Dimensions in photos are in inches. 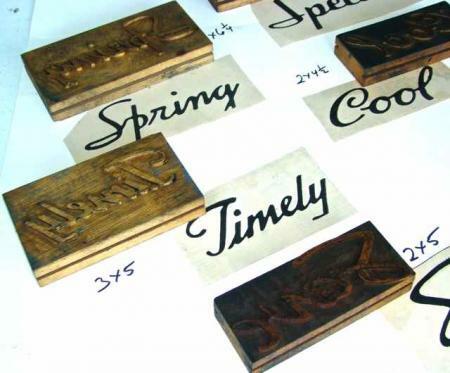 I have owned these blocks since the late ’70s without inking them until recently. Each is in good condition, cleaned enough to proof them on newsprint with news black. Impression quality is good. Problem is, I cannot find any blocks to compare them to on any Internet source in order to price them for their actual value. 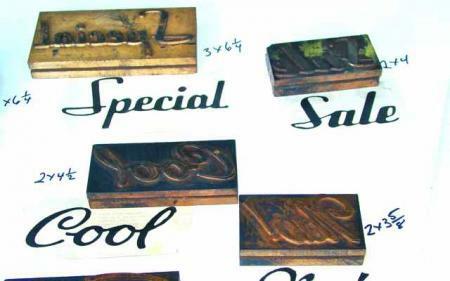 In general, wood-only blocks (except for type) seem scarce. Using an average price for each of $20.00 USD I think places them somewhere in the middle as far as what is on the market. Shipping/local pick-up will be discussed at time of sale. Feel free to contact me. Email answered as quickly as possible. Thank you.